How are you fellow peaches? I am over the moon that the weekend is here and am excited to share today's cocktail with you. First let me preface by saying that I love rum. It has a magical way of mentally taking me away to a tropical island where Bob Marley continually plays in the background. Captain Morgan* spiced rum gets its amber color from being aged in charred white oak barrels and is widely popular for being paired with Coca-Cola. As much as this Atlanta girl loves her Coca-Cola, I wanted to dress this up a bit and make it porch perfect. 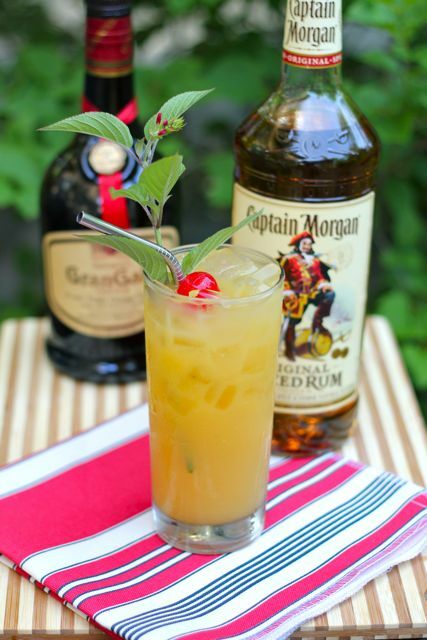 Three cheers for the Captain and hope y'all enjoy your weekend! Combine all ingredients in a highball glass filled with ice. Stir and garnish. * I was not compensated for this post. However, Captain Morgan kindly supplied me with an array of rums for the summer. Captain Morgan is a brand I already loved prior to this post. 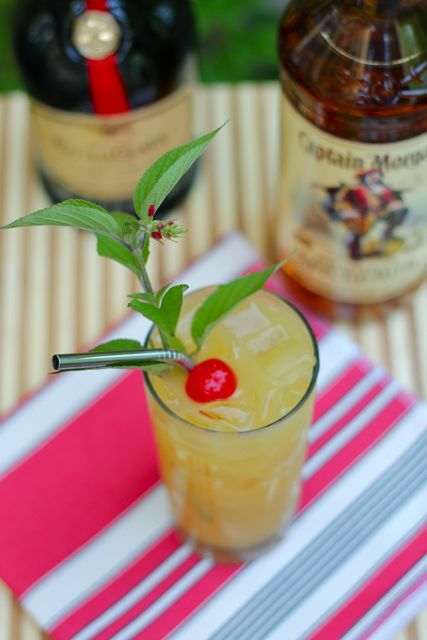 For more Captain Morgan recipes, click here!